The WIAA boys and girls soccer tournaments have been seeded for the past 17 seasons, with coaches meeting at the sectional or regional levels to set teams' path to a potential state tournament berth. However, once teams reach that level, pairings are determined by a rotating schedule that pits the four sectional champions against one another. Starting with next fall's state boys tournament, though, that will change. 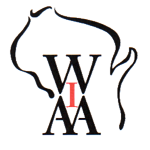 On Wednesday at its February meeting in Stevens Point, the WIAA Board of Control approved seeding the final four teams for the state tournament, following a recommendation from the soccer coaches' committee. The coaches of the four semifinalists in each of the four divisions will meet to seed the state tournament after sectional finals. The top seed will play the No. 4 seed in the semifinals, while the second- and third-seeded sides will square off. The move follows several other sports: The WIAA boys volleyball state tournament has been seeded since 2012, the boys and girls hockey state tournaments will be seeded starting next year and the boys and girls state team tennis tournaments also will be seeded starting in the fall after gaining approval on Wednesday. The Board of Control approved two other recommendations from the soccer coaches' committee on Wednesday. The first allows for matches below the varsity level to be held with only one licensed referee if more are not available. In such cases, volunteers' rulings would be limited to whether the ball is out of bounds and which team receives the throw-in; the licensed official would make all other decisions. The other mandates that coaches in seeding meetings must meet together to determine seedings at the regional level; in some meetings previously, coaches of the top eight teams and coaches of the bottom eight teams would split into separate meetings. Mark your calendars: The first day of practice for WIAA girls soccer teams this year is March 20, with the season's first games March 28. The 35th annual state tournament will be June 15 to 17 at Uihlein Soccer Park in Milwaukee. Neil Dombrowski (West Allis Hale/UW-Milwaukee) was named boys coach at New Berlin Eisenhower, taking over the Lions after spending the past five years in the same position at his alma mater. Dombrowski, who played three seasons in the USL with the Rochester Rhinos and Portland Timbers, also coached the Hale girls team the past two seasons. He succeeds Gary Troy, who posted a 68-61-14 record in 10 seasons at Eisenhower. The Lions finished 17-2-3 overall and 8-1-2 in the Woodland Conference last fall and advanced to the WIAA Division 2 sectional semifinals. Chris Mitchell, who led the Sun Prairie boys program to its first Big Eight Conference title in the fall, stepped down after three seasons. The Cardinals went 42-16-6 overall and 17-8-2 in conference play under Mitchell, who previously spent a decade coaching boys and girls teams at The Blake School in Minneapolis.